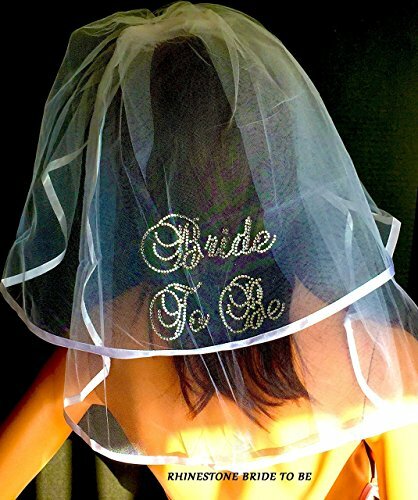 Hair Veil with the words Bride To Be created in Rhinestones. Our veils are 2 tiers (Approx. 20'' and 24" Long) Made of white tulle with a 5/8"satin edge. Veil has an attached comb. If you have any questions about this product by SashANation, contact us by completing and submitting the form below. If you are looking for a specif part number, please include it with your message.